I don't know about you, but I tend to get just a little bit too excited when The Body Shop adds a new scent to their body butter/ scrub line up. Especially when I got word the newest scent was going to raspberry. 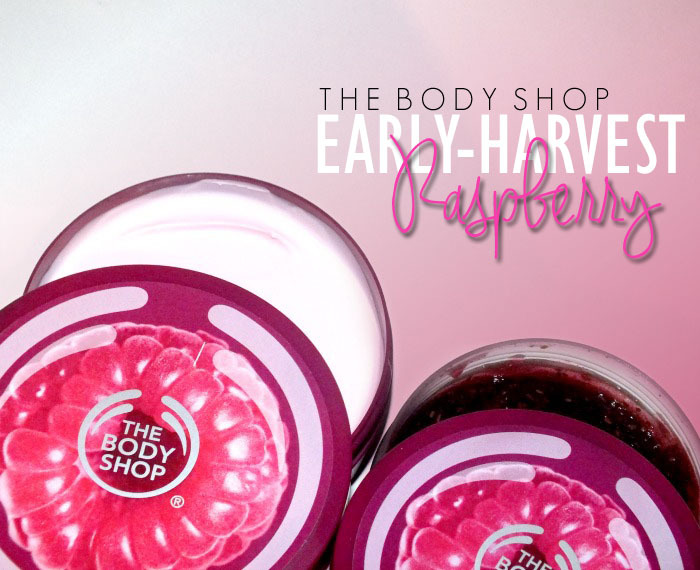 While I haven't had any raspberry body items as of late, it was my signature scent for a while. I even kept a pot of raspberry hand cream in my pencil case at school. It was mostly there for a boredom cure, but the scent was pretty amazing. 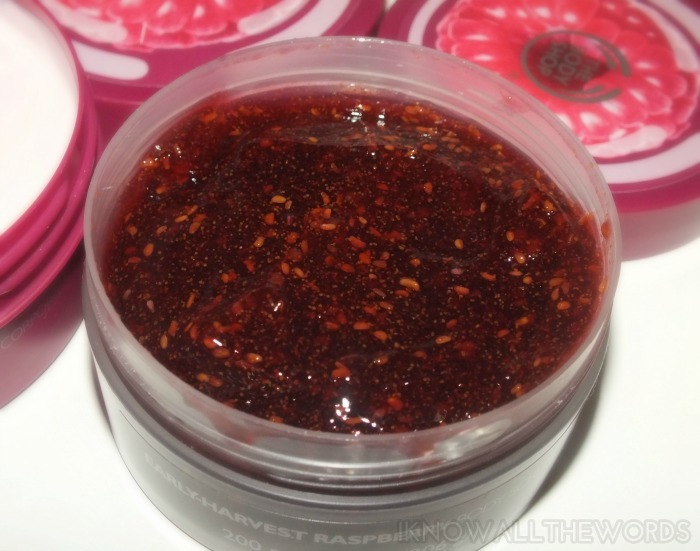 Anyway, I was excited to see how The Body Shop would approach raspberry and I have to say they have outdone themselves with their limited-edition Early-Harvest Raspberry line. Read on for all the details! I always have a Body Shop body scrub on the go- currently Coconut- so I knew I would be a fan of this one, but it's totally different than anything the Body Shop has currently given us. 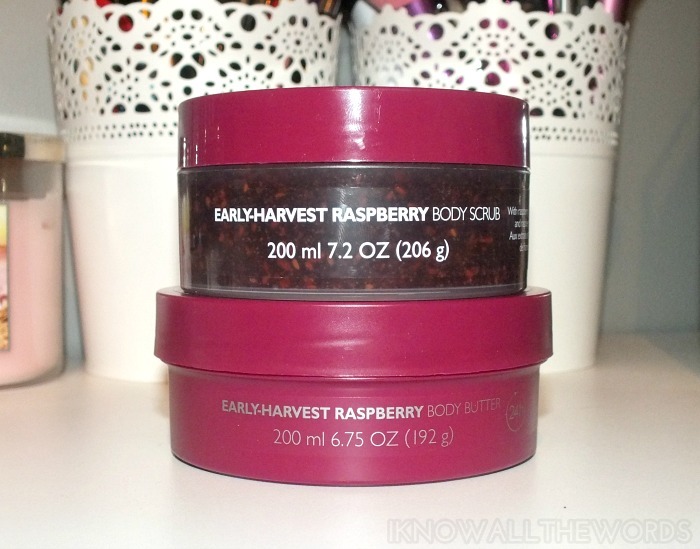 The Early-Harvest Raspberry Body Scrub look and smells like raspberry jam! It's got the most jiggly, jelly type texture that smells amazing. The scent is sweet and tangy like real fruit without being the least bit artificial. 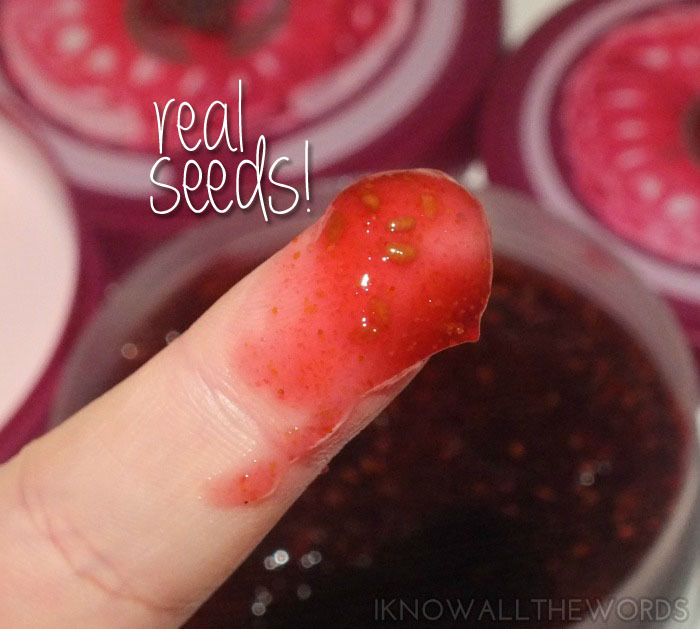 The scrub doesn't feel all that abrasive when you first scoop it out, but it is packed with real raspberry seeds along with walnut shell powder and has a light sugary-grain as well. I find that it gives a nice, gentle exfoliation and leaves skin feeling smooth and lightly hydrated. Love it! In terms of Body Shop scents, Vineyard Peach quickly became one of my favourites, but the Early-Harvest Raspberry Body Butter might just push peach into second place. Like the body scrub, the body butter has a natural, yet sweet and fresh raspberry scent that is nothing short of perfect. The body butter is the perfect formulation too- as Body Shop body butter users might know the formula does differ from scent to scent. 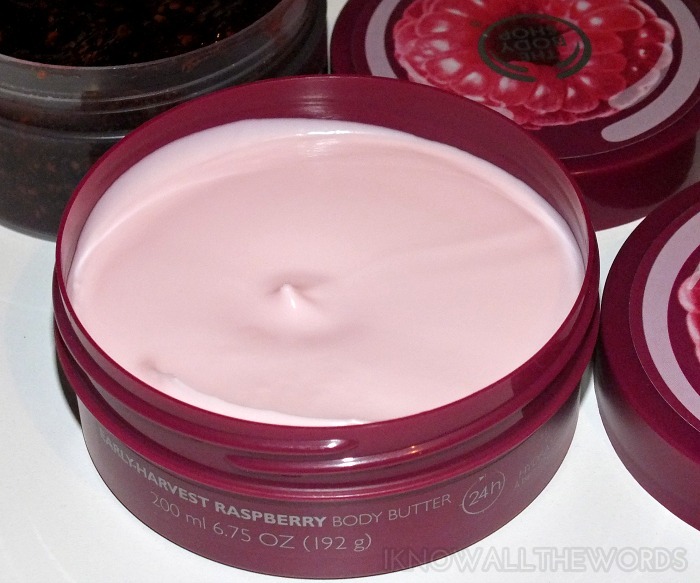 The raspberry butter is firm, but creamy and blends into skin easily. 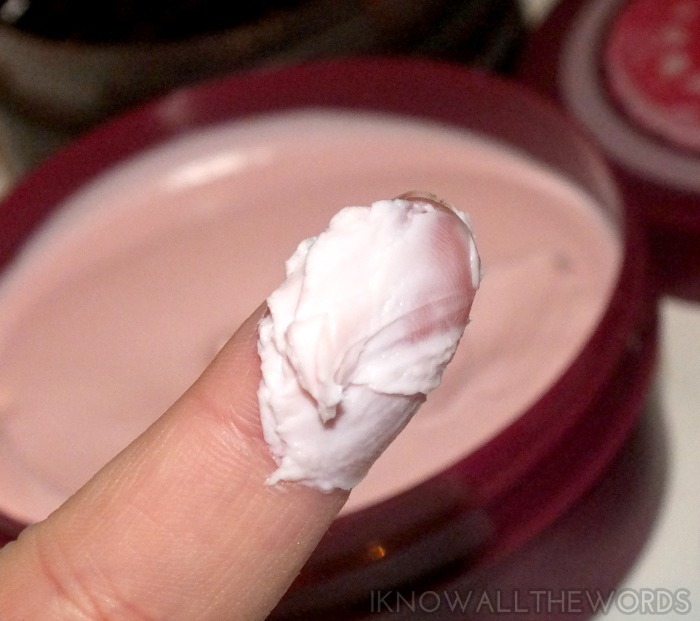 The formula is quite hydrating and the scent lingers for quite a while on skin. Overall, you can't go wrong with the Early-Harvest Raspberry- unless you don't like the scent of raspberries, in which case I totally feel for you because you are missing out. The range also includes a shower gel, body lotion, eau de toilette and a lip gloss so you can go raspberry crazy if the mood strikes. Now would be a great time to do so too, as the whole range is on sale and all body butters are half off. I'm thinking I may need to stock up on one of my favourites- almond! What's your favourite Body Shop scent? Will you be trying Early-Harvest Raspberry?